As we have shared in the past, at My Olive Tree we love to spend time in the kitchen. 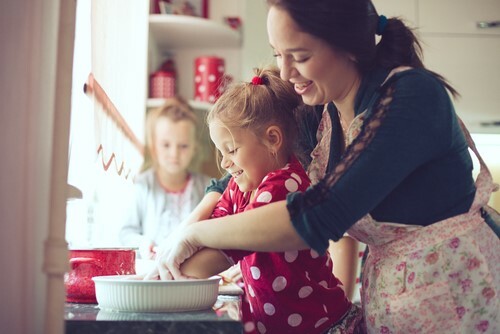 One of our favorite joys is sharing our love for baking with the younger generation. We cannot stress the importance of teaching young children about the value of a healthy and nutritious diet. And because Jewish feasts center around traditional meals, the holiday season is always a perfect time to share both cultural practices, as well as our passion for health with our children. Liete’s Culinaria.com shared this excellent recipe. Although traditional Passover matzah is created in a kosher kitchen, we know that not everyone has that capability or desire. 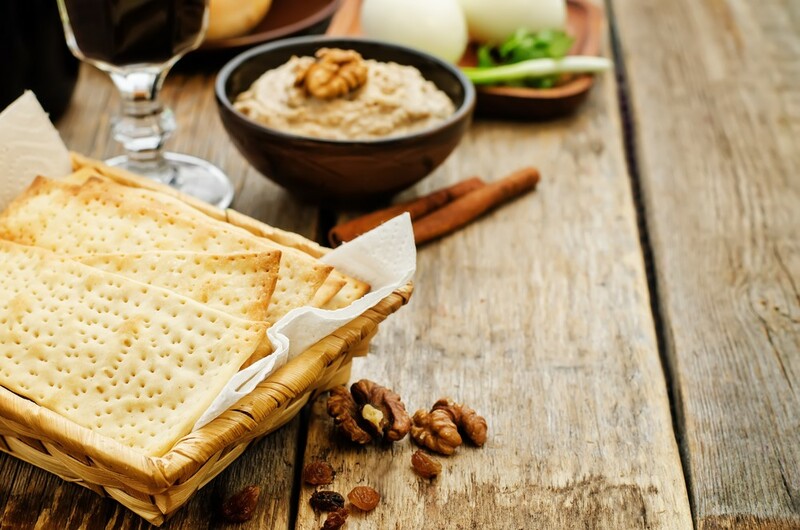 Still, kosher or not, we believe that creating your own matzah from scratch is a fun and educational way to prepare for the upcoming Passover festivities. Preheat the oven to 500°F (260°C). Ideally, you would place a pizza stone on the bottom oven rack, but realistically a 10-by-15-inch baking sheet will work just dandy. In a large bowl, mix together all the ingredients, using 3/4 cup water, until everything comes together to form a dough. If the dough seems dry, add a little more water, a few drops at a time. If you do not need the matzah to be kosher for Passover, let the dough rest for 10 to 15 minutes. If you do need the matzah to be kosher for Passover, proceed immediately to the next step so that you can finish everything in 18 minutes. Divide the dough into 8 pieces. Flatten a piece slightly and pass it repeatedly through a pasta maker, reducing the thickness each time until you reach the minimum setting. Alternately, you can simply roll the dough as thinly as possible with a rolling pin on a lightly floured surface. Repeat with the remaining dough pieces. Trim the rolled-out dough pieces into rectangles. (How many pieces of matzah you get depends on how thinly you rolled the dough.) Use a fork to prick holes in the surface of the dough. lf salted matzah is desired, brush or spray the dough surface lightly with water and sprinkle with salt to taste. Carefully place some of the rectangles onto the pizza stone or baking sheet. They should fit snugly but should not touch. Bake until the surface of the matzah is golden brown and bubbly, 30 to 90 seconds. Using tongs, carefully flip the matzah pieces and continue to bake until the other side is golden browned and lightly blistered, 15 to 30 seconds. Keep careful and constant watch to keep the matzah from burning; the exact baking time will vary from oven to oven and will get longer with subsequent batches. You want to let the matzah get a few dots of light brown but do not let the matzah turn completely brown or it will taste burnt. Let it cool before serving. When you purchase a bottle of My Olive Tree’s Extra Virgin Olive Oil the proceeds from our oil go entirely toward our many humanitarian aid projects within the nation of Israel and beyond. We pray that you enjoy spending time with your families this month of April as we celebrate the incredible miracle of Pesach!